Join us for a day of fun! Learn how to use three different Creative Grids® Trim Tools which are featured in several Cut Loose Press patterns. These projects are fast fun and easy – when you have the right tools! By the end of the day, you will have ideas for everyone on your list. The Cut Loose Press Log Cabin Leaves Pattern (CLPNAM004) adds a “Cathedral Window” technique to a traditional half log cabin block. In class, make a half log cabin block (the least known of the log cabins and my personal favorite) and then add the curves - by folding a square in half on the bias and then pulling it back to create the curve. Note: Creative® Grids makes a four, six, eight and twelve-inch log cabin trim tool. Each tool can create four versions of a log cabin block – the traditional log cabin, courthouse steps, a half log cabin, and a square within a square. Once you learn how to make this block in class, you will be able to make them all! The six-inch curvy log cabin block is featured in the Cut Loose Press pattern – Roundabout (CLPCAM007). It works like the traditional log cabin – the strips are cut approximately ¼” wider so they can be trimmed to size after each round. BUT, since the widths are different for the lights and darks, the tool has two different sets of squares. Note: Creative® Grids makes a four, six, and eight-inch curvy log cabin trim tool. 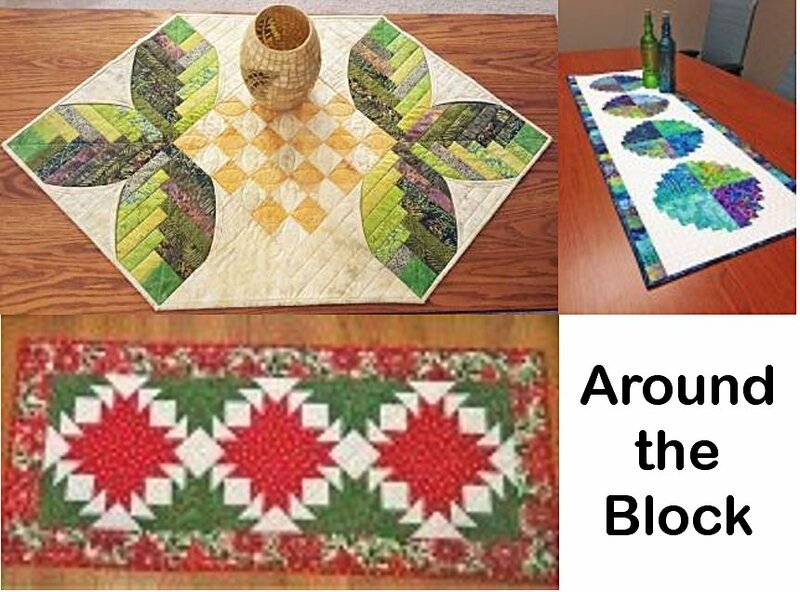 Once you learn how to make this block in class, you will be able to make them all! See examples of all four sizes in class and choose your favorite! This simple version of a pineapple block can be made in literally half the time of a traditional pineapple block because you are trimming half as many times. Therefore, it is the perfect introduction to the Creative Grids® Pineapple Trim Tools. It looks like these blocks are set on point, but, the design is created by joining four blocks (12 blocks make up the center). Once again, this technique is featured in a Cut Loose Press pattern – Pineapple Pinwheels (CGRDHE021). Note: Creative® Grids makes two different sizes of the Pineapple Trim Tool. The original creates six, eight and ten-inch blocks. The “Mini” creates blocks in four, five and six-inch sizes. Make the Pineapple Pinwheel version in class and learn the difference – and how to create the traditional version.